I’ve been in many forums and discussions about how Microsoft’s new file format is unfair on the education industry. 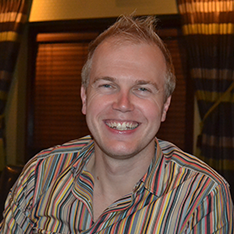 More than ever, more users are accessing electronic documents from schools not just staff and pupils but parents, local community and businesses. I believe that its all a load of rubbish (trash), the fact that people say ‘you shouldn’t use Office 2007 because you won’t access to files from home.’ Its a matter of training and communication! Making the end user aware of how they can access the files with compatibility packs and free views all provided from Microsoft. Another solution is still to use Office 2007 but save your files as DOC files. This is something you can set at your GPO level if you download the GPO templates from the web so users auto save it as a doc file. 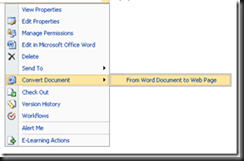 Another solution is using the SharePoint file conversion tool built into SharePoint 2007 which converts your DOCX file to a HTML file. Down side to this tool at the moment is that it doesn’t add your images but here’s how to do it, a few tips and some things you might find useful. Click on the Operations tab in Central Administration. 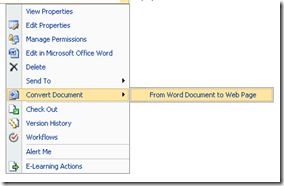 Under External Service Connections click on Document conversions. 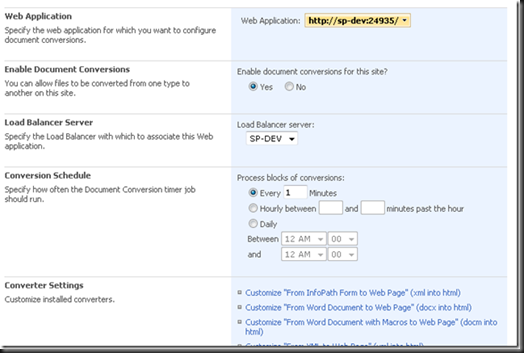 Select your web application, check yes under Enable Document Conversion and then select your Load Balancer Server. 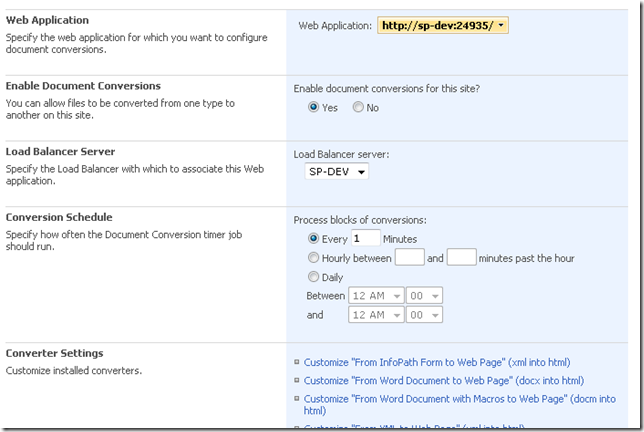 When you go to your SharePoint site and to your document library you should see Convert Document. You must have Office SharePoint Server Publishing enabled in your site features for it to convert the file. On the sites I setup for education I always add a content editor web part with the below text. Two basic links to the free Word Viewer and Adobe Acrobat. Click here to download the DWP file and add it to your site.